The Fire Fighters Charity have expressed their delight at receiving a cheque for £2,000 presented to them last week by The Little Green Charity Shop in Hartlepool. The shop supports a variety of “worthy causes” including Macmillan Nurses, Springwell School and Great North Air Ambulance Service. 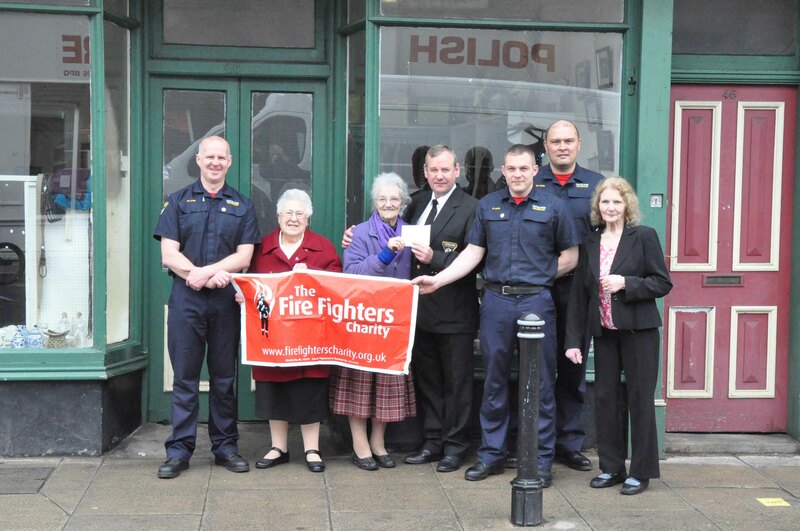 But store volunteer Doreen Dixon said she was always happy to support the much-needed work of The Fire Fighters Charity. The Charity supports those in need from the wider fire community, helping widows, widowers, orphaned children and all family dependants through difficult times of need. The Charity assists injured fire fighters to achieve a better quality of life following accidents and injuries through convalescence and rehabilitative care. The cheque was presented to Station Manager Noel Cornforth from Cleveland Fire Brigade outside the Charity Shop in Murray Road. Cornforth added: "Over the many years I have served [with the Charity] they have been invaluable in assisting serving and retired staff and their families to better health and improving quality of life. "This money cash will make such a big difference to the invaluable work they do."